The Praemium Imperiale (lit. "World Culture Prize in Memory of His Imperial Highness Prince Takamatsu", Japanese: 高松宮殿下記念世界文化賞, Takamatsu no miya denka kinen sekai bunka-shō) is an international art prize awarded since 1989 by the Imperial family of Japan on behalf of the Japan Art Association in the fields of painting, sculpture, architecture, music, and theatre/film. "Outstanding contributions to the development, promotion and progress of the arts"
The prize consists of a gold medal and 15 million Japanese yen, and was created by the Fujisankei Communications Group, which pays the expenses of around $3 million per year. The prizes are awarded for outstanding contributions to the development, promotion and progress of the arts. 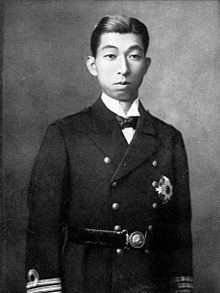 The Praemium Imperiale is awarded in the memory of His Imperial Highness Prince Takamatsu (1905–1987), younger brother of Emperor Shōwa who reigned from 1926 through 1989. Prince Takamatsu was famous for his longtime support of the development, promotion and progress of arts in the world. The laureates are announced each September; the prize presentation ceremony and related events are held in Tokyo, Japan, each November. The prize presentation ceremony is held in the presence of His Imperial Highness Prince Hitachi, President of the Japan Art Association, at the Meiji Kinenkan in Tokyo. Prince Hitachi presents the prizes to the selected laureates. The prize consists of a gold medal and 15 million Japanese yen, and was created by the Fujisankei Communications Group, which pays the expenses of around $3 million per year. The laureates are annually recommended by international advisers, and decided by an anonymous committee of the Japan Art Association. The advisers include Yasuhiro Nakasone, William H. Luers, Lamberto Dini, François Pinault, Chris Patten, and Klaus-Dieter Lehmann. Honorary advisers include Jacques Chirac, David Rockefeller, David Rockefeller, Jr., Helmut Schmidt and Richard von Weizsäcker. Since 1997, a series of grants have been made to organizations which nourish young artists. ^ a b c "Selection criteria". Official website. Archived from the original on November 26, 2005. Retrieved January 19, 2010. ^ a b c d Goldberger, Paul (October 27, 1994). "In 1994, What Draws Eyes? The Megaprize". The New York Times. Retrieved January 18, 2010. ^ "Advisors". Official website. Archived from the original on March 6, 2002. Retrieved January 18, 2010. ^ "STIAS Fellow Athol Fugard receives prestigious 2014 prize". Stellenbosch University. Retrieved July 17, 2014. ^ "Grants for Young Artists". Official website. Retrieved December 12, 2015.